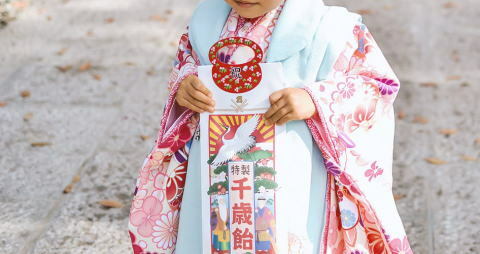 Shichigosan is a traditional annual event to cerebrate children's growth. gods protect them as they grow up healthy. Children have paper bags with pictures of a crane and a tortoise on them. 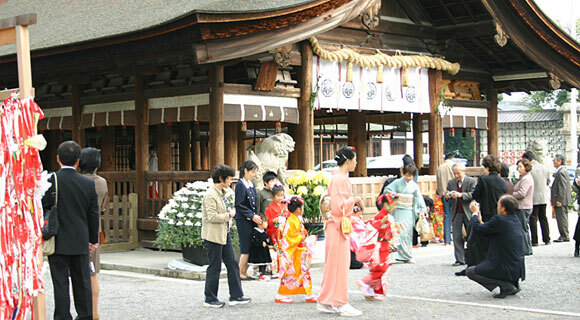 Long candy sticks called chitose-ame are inside. They are presents from their parents from their hearts to wish the children a long and healthly life. Chitose 千歳 means a thousand year and ame 飴 means candy.